For the second time this week, the Western Major Baseball League is pleased to announce a major development. The City of Brooks, Alberta will join the WMBL in 2016 and will mean that the league will schedule a 6 Alberta (West) and 6 Saskatchewan (East) clubs format for the first time in league history. The Brooks franchise has been making plans, presentations, and team details for nearly a year and after meeting all conditions set by the league, was unanimously approved this week by the WMBL Board of Governors to relocate and operate at the recently built Elks Field for the 2016 season. 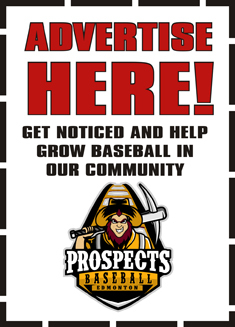 Led by longtime baseball enthusiast, Doug Jones, and joined by local baseball loyalists Jason Thomason, Jason Wander, & Darla Wandler, the Brooks franchise will model itself after some of the smaller long standing Saskatchewan WMBL clubs such as Swift Current, Welbourn, Melville, and Yorkton. “The City of Brooks along with the local business and service clubs are to be commended for their passion in achieving this franchise for this area,” commented WMBL President Kevin Kvame. In 2007, the league saw the Red Deer franchise request an indefinite leave of absence. “It has been an ongoing goal of the league to relocate this franchise or restart it under better conditions in Red Deer. Doug finally felt he had the right dynamics with Brooks, being a decent field, committed community, and enthusiastic baseball people,” Kvame added about the relocation. “This has been a tremendous week for the WMBL as we grow to 12 franchises with the goal of seeing another Alberta team and another Saskatchewan team in the next couple of years. Community baseball is alive and well as it provides great and affordable family entertainment,”. The league President went onto say. The WMBL is Canada’s Premiere Summer College Baseball League operating in Alberta and Saskatchewan with 11 other centers. Each team plays a 48 game regular season, 24 at home and 24 away with college baseball athletes who desire to hone their skills during their summer break from school. It is modelled after other summer college leagues such as the Cape Cod, West Coast, or Northwoods leagues. “We continue to see parity in the league with 6 different champions over the last 7 years including Lethbridge winning their 1st title about 2 months ago,’ commented Kvame. Elks Field is an excellent facility that is new to Brooks and will be a great field for the new WMBL franchise to call home. It is part of a four field complex that houses Little League and Slowpitch organizations as well, all who have written letters of support regarding the new franchise. “As with any WMBL club, it is important for the team to have backing from their local baseball community and we are very pleased with the show of support in Brooks,” the WMBL President added. Please contact the WMBL President at the contact information below should you wish any further information on this exciting development.